We had five days to embrace it all. I suppose that many would have thought that traveling to Ireland in early February was insane and crazy. At this point in time. And for such a short stay. Especially with, as it turned out, Lulu who happened to suffer a nasty cold as soon as we arrived. Okay, maybe it was somehow a little crazy. But then that was beautiful Ireland where we were going. Europe. With great family times; striking bold colors, mild weather, and this je-ne-sais-quoi outside that always speaks so clearly to my eyes, my camera. My heart. A piece of home away. Despite her cold and jet lag, Lulu soaked it all in. It’s not often that she is able to see her cousins— she had a lot of fun with them. To start, with Emily. An Irish one. Beautiful. Funny. Playful and cheeky. A wonderful friend to have. We came to Ireland to attend a family reunion during which I found myself sitting at a table with thirty Irish relatives–some of whom I knew, some who were new. I was glad to meet Odette again, the other French woman part of the family. “Ça fait du bien de parler français, non ?” (It feels good to speak French, right?) I told her as we stood in church after the ceremony. She smiled. Words were flowing more easily. “Oh, you’ve already found a French mate,” someone joked as he walked by us. Of course, that day, in the true Irish tradition, we ate lamb and gravy and potatoes and salmon. “What’s the soup?” I asked the waitress who was taking our orders and inquiring about appetizers first. “Vegetables!” she answered in a thick Irish accent I didn’t recognize. “Vegetables!” I repeated in a low voice to myself, in the hope of understanding better what that was supposed to mean. P. was sitting near me and heard her too. He looked at me and laughed. “I’ll take the vegetable soup then“, I replied, smiling. The soup was simple and vegetabl-y, even if in the end, I never managed to tell what vegetables were in it. 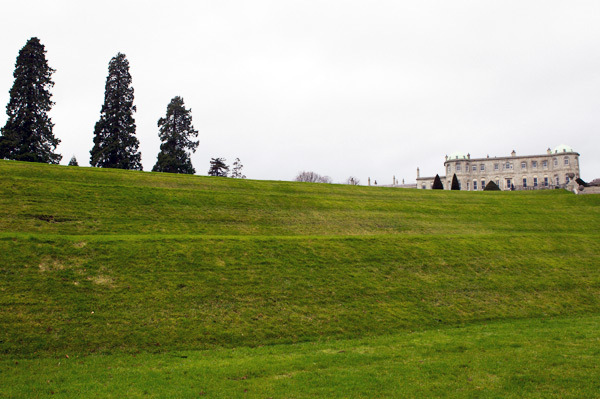 The few days that followed were filled with an afternoon in Dublin, a walk in Powerscourt Gardens, playing with Charlotte and Penny the cats, and more family dinners that, I knew, were going to turn into good memories in the coming years. A lovely afternoon. A little drizzly but with pleasant spells of sun. 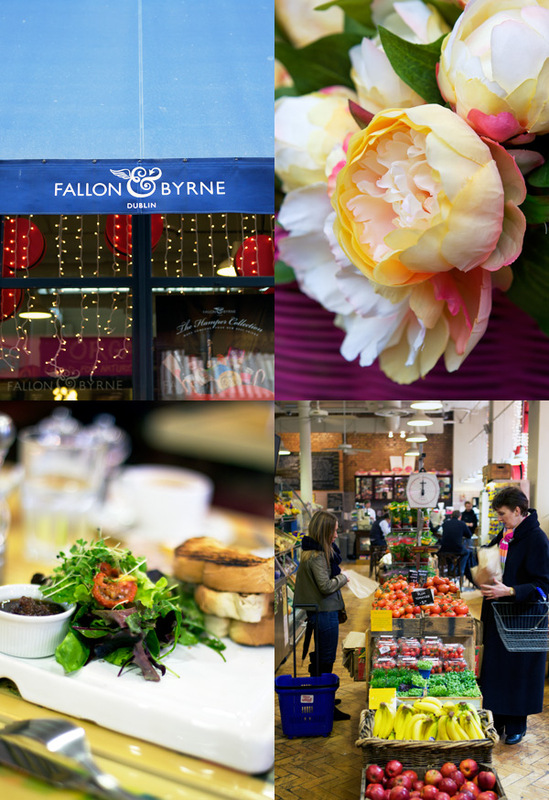 I wanted to visit Fallon and Byrne for its choice of foods; Avoca for its selection of housewares and its café where we ended up enjoying a lunch of soup, ravioli and salads. “I love all the colors of the buildings!” I told Kelley, P’s cousin, as we were walking the streets of Dublin. 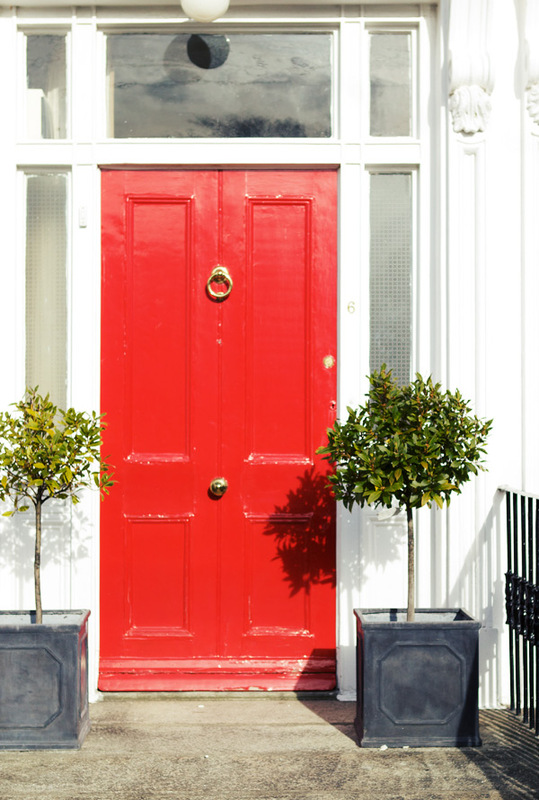 I noticed bold red and lime green painted doors; striking orange pavements and gray churches reminiscent of years of history; flowers and plants making the streets cheerful despite the light rain. By late afternoon, we decided to stop at Butlers’ for hot chocolate. 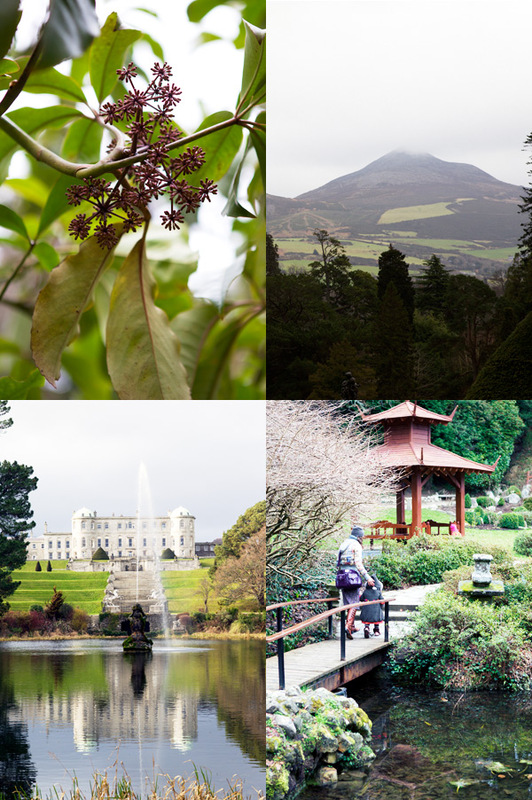 The next day, we took a walk in the fabulous gardens of Powerscourt. In the Irish manner. 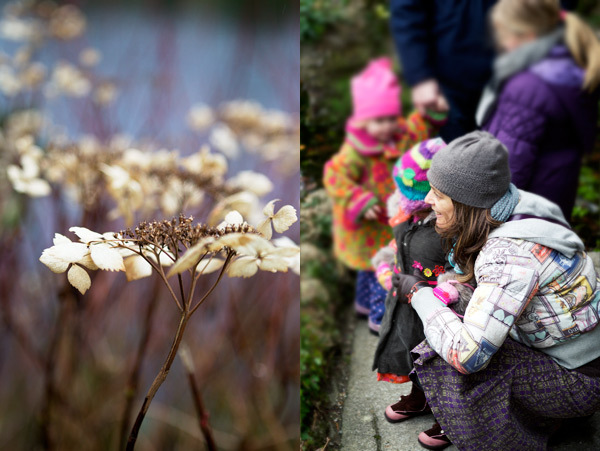 The trees and flower arrangements looked stunning and our family stroll felt exotic and invigorating. Lulu and her cousin Cait strolled along happily, picking pebbles and playing in small puddles along the way. “It reminds me of our walk from two years ago“, I told cousin Hugo. It was just Irish and pretty. During our stay, we ate brown bread; we had muesli and drank local apple juice in the morning; we enjoyed tasty cheddar and delectable yogurts—oh Irish yogurts, I already miss you so much! And, of course, we sipped many cups of tea while having random conversations about life–okay, I will admit that I still cannot drink tea the Irish way. One night, when all the cousins came for dinner, we enjoyed a dinner of beef stewed with mushrooms and Guiness, Jasmine rice and salad on the side. The next night, it was a dish of pork roast, chestnuts, potato gratin, lemon tart and almond cake with raspberries that made our bellies happy. All, always, delicious and homemade. Five days was short and full; exciting and tiring too. I already miss Dublin and the Irish family. Lulu too, I know, especially the cats and Emily. But I am thankful for the memories and stories we’ve built there during our short stay. One of those, in fact, revolved around chocolate too. “Tu y crois à cela ?” (Can you believe this?) I told my mother when I called to tell her we were safely home. It happened during one of our usual conversations following a trip overseas. “Quoi ?” (What?) she asked, intrigued. “Elle dit cola! !” (She says cola) I went on. At first, I didn’t know what Lulu meant when she used the word. I walked to the counter top and then, suddenly, she proudly pointed at the bar of dark chocolate I had left on the counter top the night before. “Ohhhh chocolat!” I said. Since then, she’s been asking for chocolate at breakfast, lunch and dinner. I think she likes to say the word. She likes that she understands and knows it. And I am afraid that every time she will use it, I will have a hard time saying “no”. How could I really say Non to chocolate? Hence this was how these chocolate petits pots de crème ended up on our table. For her. For us. Lulu ate hers plain. I topped ours with tiny pieces of apples sautéed in butter, sugar and vanilla. You might not believe me if I told you how quickly six jars disappeared in our household. I blame Ireland for it. Appropriate for a casual treat, adult and children alike, or for a special occasion that involves the buzz word chocolate. Monday, Valentine’s day perhaps, anyone? For the apples: In a frying pan, melt the butter over medium heat. Add the apple, vanilla bean and seeds and sugar. Cook, stirring occasionally, until soft (about 5 minutes). Set aside. For the creams: Preheat the oven to 320 F. In a pot, combine the coconut milk, milk, cardamom pods, vanilla bean and seeds. Bring to a simmer (don’t boil) and then stop the heat. Cover and let infuse for 30 minutes. Strain, discarding the cardamom and vanilla bean, and return the milk to the pot. Reheat and set aside. In the meantime, melt the chocolate in a double boiler. In a bowl, beat the eggs with the sugar and add the milk progressively. Add the chocolate and stir until homogeneous. 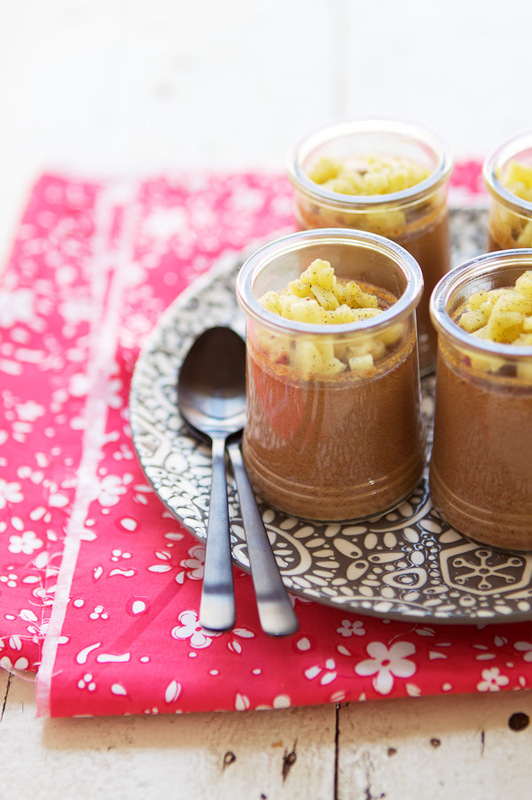 Divide the chocolate cream between six glass jars and place them in a baking dish. Add water half way up to make a water bath. Bake for 30 minutes. Remove and let cool completely. Cover each jar with a piece of plastic wrap and let completely set in the fridge for a few hours, or overnight. When ready to serve, top each chocolate cream with sautéed apples. Pour préparer les pommes : Dans une poêle, faites fondre le beurre sur feu moyen. Ajoutez les dés de pommes, le sucre et les graines de vanille et la gousse. Faites cuire pendant environ 5 minutes sans brunir. Laissez refroidir. Pour les crèmes :Préchauffez le four à 160 C. Dans une casserole, mélangez le lait de coco, le lait, les capsules de cardamome, la vanille et ses graines. Faites chauffer jusqu’au premier frémissement. Arrêtez le feu et couvrez. Laissez infuser pendant 30 minutes avant de filtrer. Réchauffez et mettez de côté. Dans une jatte, battez l’oeuf et les jaunes avec le sucre. Ajoutez le lait chaud progressivement tout en continuant à battre. Divisez la crème au chocolat entre les pots et placez-les dans un bain-marie. Faites cuire pendant 30 minutes. Retirez du four et laissez refroidir. Filmez et laissez les crèmes prendre au frigidaire pendant quelques heures, ou toute une nuit. Pour servir, mettez les dés de pommes sur la crème au chocolat et servez sans attendre. Everything is so beautiful, I want to cry. So glad you got to go. Insane, maybe. But surely worth every second. Your pictures are great and are making me homesick!! I had almost forgotten how colourful it is. I’ll get to go later this year. Glad you had a great time. Maybe next time you’ll get to visit the west coast. Absolutely stunning pictures! I miss beautiful Ireland. 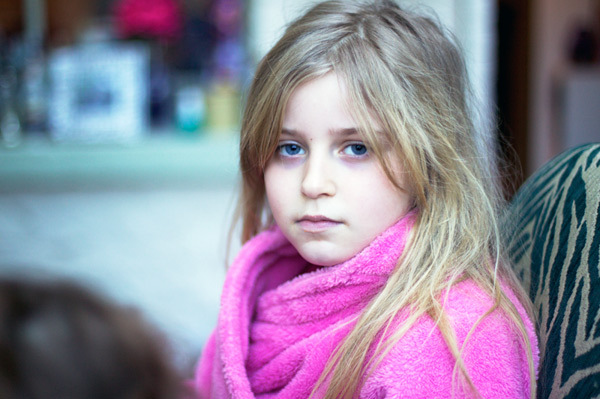 Gorgeous post, breath-taking photos and wonderful read. Thank you very much for posting. Very inspiring indeed. The chocolate pots recipe will be perfect to try for Valentine’s Day! Beautiful pictures! Reminds me of my many trips to Ireland, with thanks to my Irish bf. Nice to see Belfast through your lens. Que de belles photos ! L’Irlande est dans nos projets à venir… Ca donne envie d’accélérer le mouvement 🙂 et encore une belle recette pour nous régaler tout simplement c’est le rêve ! Merci ! Merci pour ce magnifique reportage!! vous m’avez donnè envie de visiter ce beau pays! Partir, même pour quelque jours, n’est jamais une folie!!! I’m so glad Lulu discovered one of my favorite things in the world! Can’t wait to try this recipe. Lovely story and photos…and thanks for that recipe! 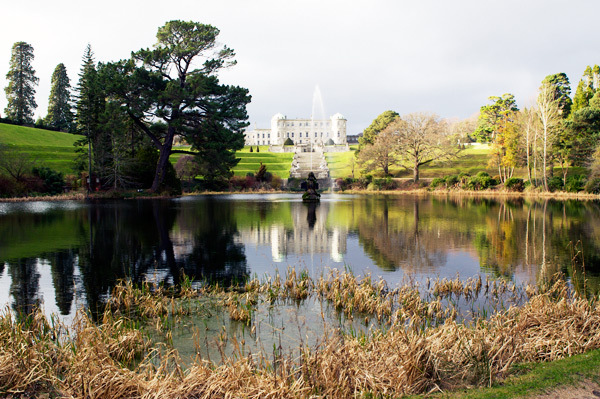 We were in Dublin last March and it truly is a beautiful spot on Earth. Thanks for sharing your adventures and helping to bring back our own memories…beautiful photos! I miss Ireland and I’ve never been. I’ve always missed it and have never been. These photos confirm it. Merci, Bea! Utterly fabulous! Really, no words exist to express how it all looks, but I guess that’s the point of art and photographs, right? Thanks for sharing. I love the pictures you’ve taken of your trip and this treat will definitely be a winner with my twin daughters as well! Love your blog. The pictures are beautiful! I would love to go! oh les porte rouge! it all look so beautiful, the sun shines so differently there i find- very bright! how wonderful to have family there for lulu to meet. pot de creme look delicious! Superbes photos, j’adore. Je pense d’ailleurs que je viens de tomber en amour… Ces petits pots de crème ont l’air divins aussi! WOW! I love traveling to Europe in ‘the off season’, there are no crowds, waiting in lines are small or nonexistant (restaurants, museums) and you spend more time with the locals instead of tourists. The weather may not be ideal, but I don’t travel (anywhere) for the weather. Tu sais que c’est une chance que d’avoir de la parenté au bout du monde. Même si on ne peut les voir très souvent, ils nous amènent à découvrir de beaux endroits éloignés de la maison. 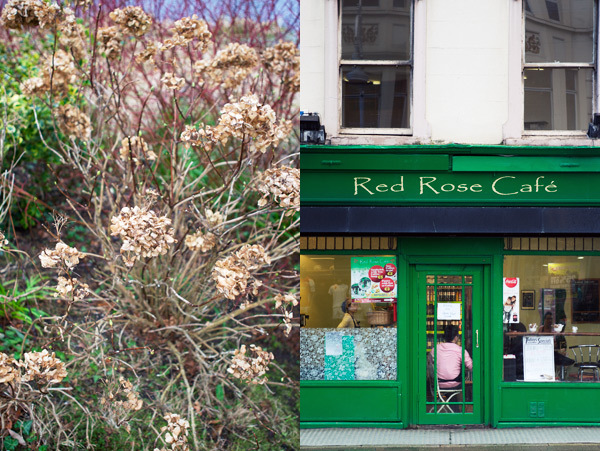 Comme toujours, les photos sont superbes et donnent envie d’aller en Irlande. Chocolate petits pots de crème looks delicious! Your photos! Your photos! I love them!! Makes me feel like I’m right there! I love Ireland- so clean, crisp and bright. And the country, rustic food is so good. This pot de creme looks so divine, esp with the apples! 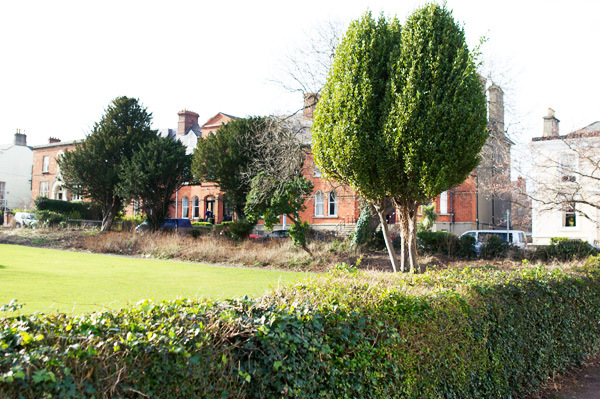 I love the idea of Ireland in Feb. Not crazy at all – beautiful! And Lulu has the right idea… chocolate any time of day! the images are lovely. one stands out in particular. Emily is not well. A world without snow! So many pretty colors. Thanks for taking us to Ireland too. 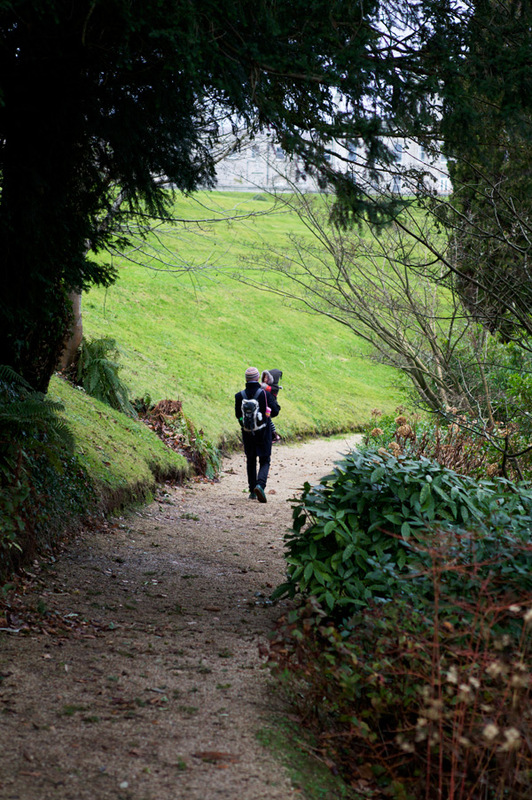 Ireland is a little piece of heaven and I enjoyed visiting it through your eyes. Funny, but I remember when both my children learned to say “chocolate.” They learned that word early! The pots de creme speak love. I took my parents to Ireland last summer – and even though we had no relatives there, I found the people so incredibly warm and welcoming. I can’t wait to return next year and take my husband! Lovely, as always, Bea. Thanks for taking me to Ireland with you! What a nice visit. I will had Ireland to my “to travel” list. Hi!!! Where did you get the yogurt jars? Oh yes, I will definitely go back and visit the west coast. We already have more plans to stay with family in country Clare and visit farms and cheese makers. 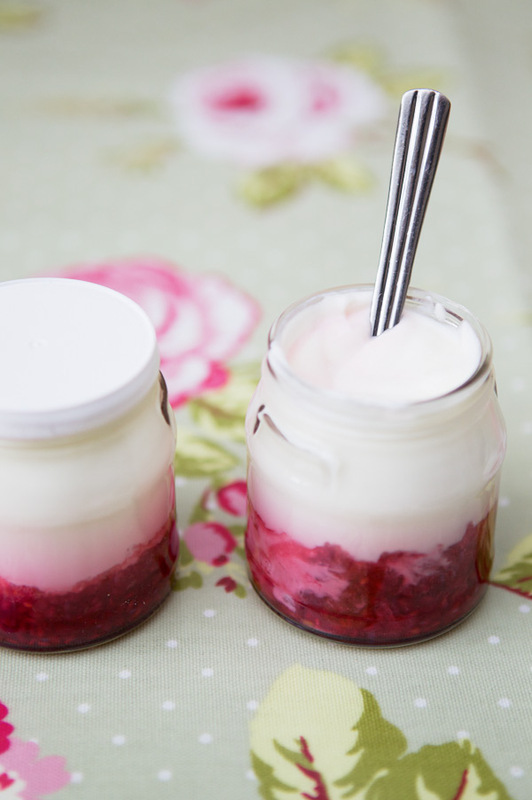 And the yogurt jars are recycled from yogurts purchased in France. Oh, wonderful photos!. The recipe is delicious. those are amazing photos! Happy valentines day! I love that you used coconut milk instead of cream. Lovely combination of chocolate and spice. J’adore cette histoire de mots qui émergent, et de transmission aussi, sur 3 femmes… et je teste tes petits pots cette semaine, merci pour le coin français! A really great post to start the week with! Great pics and words as well! I love your dishes. Thank you for sharing your visit to Ireland. Ireland is absolutely on our bucket list. Going to show my husband this post, perhaps our trip will come sooner than later with this ‘presentation’. 🙂 Thanks for another lovely post. check out & follow our blog! Wow, the pictures are amazing. Beautiful, stunning Ireland, Wish I could visit it, even for few days. Great that you spent some quality time with your family. Amazing photos! Makes me want to do some more traveling! And those desserts…YUMMY! every time I turn to your blog I AM STARTLED by your talent! I am Italian leaving in England and I share your enthusiasm for life, family and food. I often dream how pictures of my place taken by you would make it so dreamear I would probably have peaple kewing to stay in my bed and breakfast…well this can be an invitation for an exchange, your pictures for a holiday here, may be next time you are in this part of the world? and my three kids will teach your little Lulu how to say chocolate in Italian, with a taster session too I believe! Delfino is her age I think and he loves cioccolato! All my Best to you and your brilliant future! You are so talented!!! those pictures are AMAZING!!!!!!! 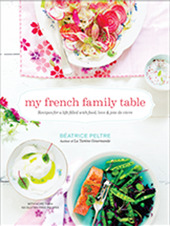 And it looks like you had a wonderful time too…I can’t wait to try the recipe for les petits pots de creme. Et il est vrai que c’est toujours un plaisir de voyager dans un pays etranger et d’avoir la surprise de rencontrer quelqu’un avec qui parler francais. Makes me dream if the countryside! So lovely. Glad you made the most of it and I’m sure lulu soaked it all in. Stunning photos. Now I want go. In February. Okay, anytime. Thanks for sharing. Salut! I just found your blog and it is beautiful. I really liked reading about “home”! I am from Dubin, living in London. As I read down the post I suddenly saw the square in front of my house!!!!! what a small world! I have yet to get to Ireland and it is definitely on the list. I have many relatives there, as well – none of which I have yet met. 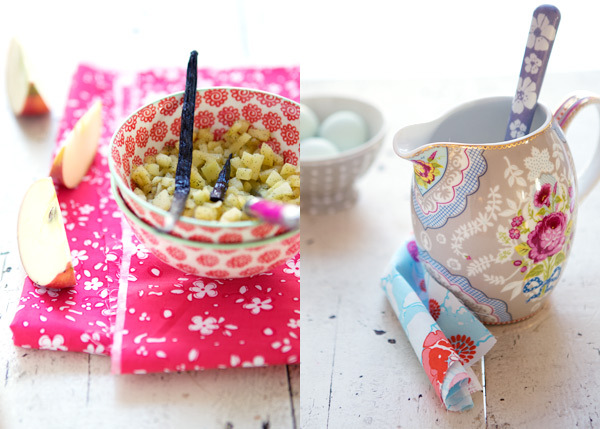 You must have been so excited when you found that little pitcher to the right above the chocolate pots. I was excited to just look at it! These photos are absolutely beautiful. I feel like I’m there! Ahhhh, l’Irlande, j’y suis allée en 2008 au mois de janvier donc je vois tout à fait de quoi tu parles ! J’ai eu un coup de foudre immédiat pour ce pays et la ville de Dublin, d’ailleurs j’y retourne en avril et j’ai hâte de tester tes bonnes addresses ! Merci pour ces belles photos, ça me donne encore plus envie d’y retourner !!! Such lovely pictures. I am very impressed. What a nice idea for a trip. You captured some beautiful images, Bea. Thanks for sharing them. Merci Béa. Un concentré de bonne humeur, d’humour, de sincérité, de couleurs, de saveurs et de voyages dans tes Tartine(s très très) Gourmande(s) ! Je les croque à pleines dents à chaque invitation. Aussi tes différentes recettes de petits pots de crème me titillaient depuis quelques temps… mais je n’en avais jamais fait ! Un vieux slogan publicitaire nous dit d’ailleurs « ne passons pas à côté des choses simples » ! Celle-ci plus particulièrement car je voulais marier le crémeux du chocolat-fève tonka avec de la mangue sautée à la cannelle. J’ai donc suivi la recette…en remplaçant le lait de vache par du lait de riz. Et là surprise : mes invités découvraient des petites crèmes au goût exquis, mais… liquides ! Depuis je m’interroge : est-ce le lait de riz ? Est-ce le bain-marie (l’eau arrivait à la hauteur des crèmes et je les ai plongé dans un bain tiède en les enfournant) ? Est-ce le lait qui a trop attendu (pour infuser tranquillement) et donc n’était plus vraiment chaud ni tiède quand je l’ai versé sur le mélange œufs-sucre ? A part la texture, tout y était. Et l’association avec la mangue à peine saisie, saupoudrée de cannelle, était un délice. Encore merci de partager tous ces instants de bonheur ! Nathalie, oh la soupe. On en mangeait encore une variante hier….merci! Chloé, merci beaucoup. Et oui, il se peut tout à fait que le lait de riz donne cette texture. J’en avait fait il y a quelque temps avec du lait d’amande, et j’avais eu le même résultat. Souvent, je préfère même le lait entier car la texture se tient beaucoup mieux. Peut-être si tu veux vraiment utiliser du lait de riz, il faudrait alors mettre deux oeufs et un jaune, ce qui donnerait plus de lien. Le problème du lait de riz c’est qu’il n’y a presque pas de graisses. Voilà, j’espère que cela te donne une idée. Thank you everyone. Lucy, I know you’d love Ireland. You’ve been, right? 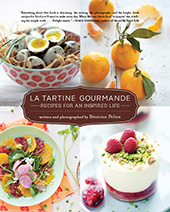 you take gorgeous photographs, not to mention that recipe looks to die for. je suis allée en Irlande avec ma classe en seconde et j’ai a-do-ré! A tel point que j’ai réussi à y traîner mes parents et ma sœur. Parmi nos meilleures vacances en famille. 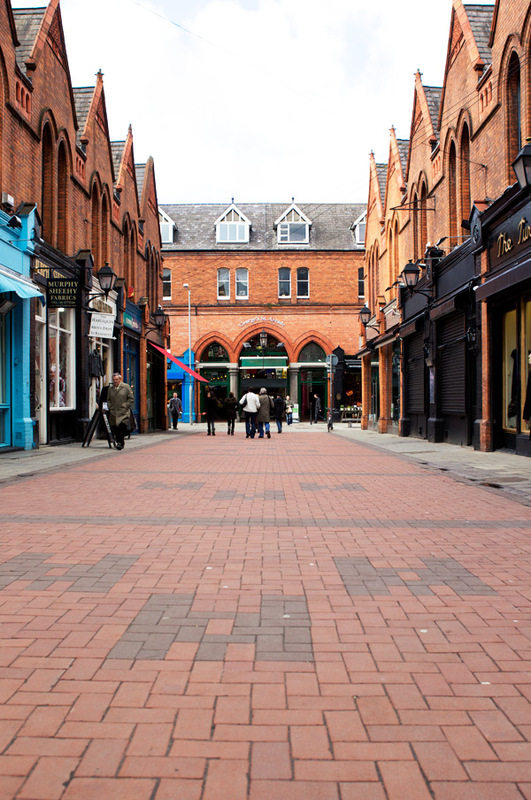 Dublin est une ville que j’adore et l’Irlande, un pays que j’aimerais découvrir davantage! Oh thank you for sharing all these lovely word sand photographs…what gorgeousness! Je ne suis jamais allée en Irlande alors que j’ai marié un anglais…les photos me donnent vraiment envie d’y remedier…elles sont splendides et si sereines! J’espere que Lulu va mieux! Bea, I am passing on The Stylish Blogger Award to you. I love that you combine food, warmth and mothering with such beauty. I have been reading your blog since a time ago, I love your photos, the receipts, the food-styling and your natural way to cook! I tried your granola (plain one, not chocolate) and have to say that is the best I have ever tried! I added dried plums and dispensed the pecans (I am allergic!!!) and was simple marvellous!!! I love breakfast receipts! Do you have a good yogurth one? Please post! 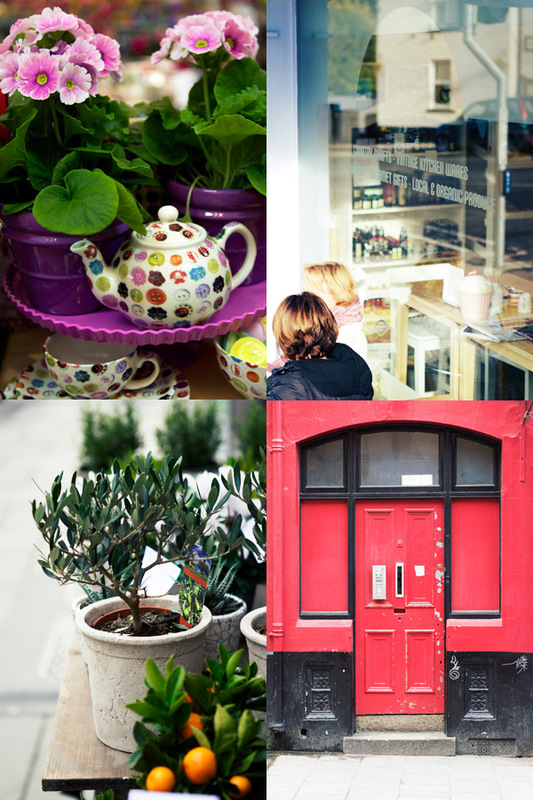 I just found your blog, and your photos are so lovely. Makes me wish I was in Ireland right now. And the pot de creme…yum. I will visit the country again (for the 1st time since I left) in a couple of months and I loved to see these pics and realize that I actually miss it there. 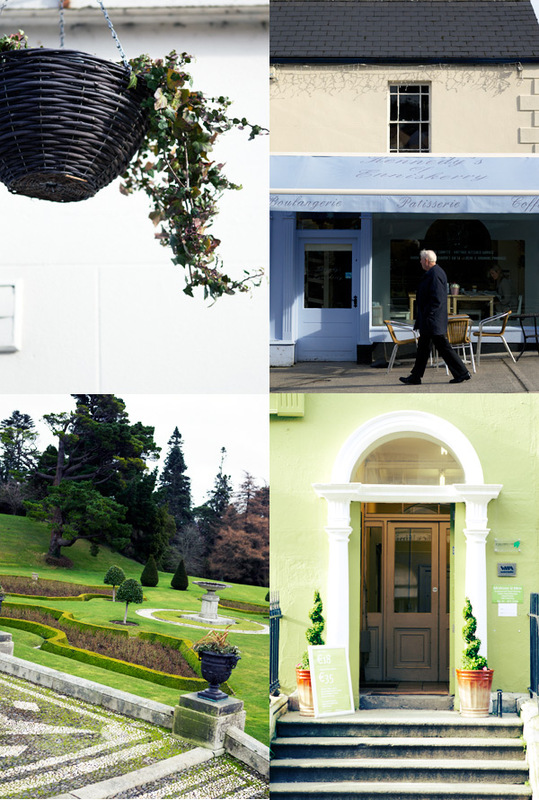 Lovely photos of Powerscourt. It is a beautiful place. 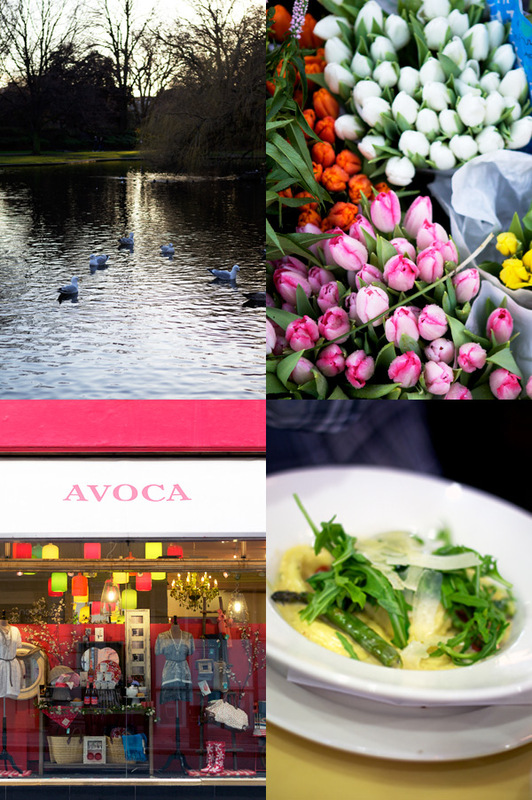 And Avoca’s clothing, housewares and food can’t be beat. Having lived in Bray for 5 years this made me feel homesick. My gosh, what a feast for the eyes. I can’t believe the photographs. I especially loved the one of the meandering walking path with you (?) and the young child. I am so inspired to visit Ireland, a country that has long been on my list to visit, ever since I read Trinity by Leon Uris. I also find the idea of pairing chocolate and sauteed apples quite intriguing. Glad to discover your blog. We are leaving for Ireland on 15. April for 10 days. Your pictures now make me more anxious to go. Thank you. Super joli ton blog! Je viens de le connaitre et je le suis déjà! Je suis une française qui habite au Brésil, et donc m´identifie completement avec les vies multiculturelles… Gros bisous! As a long time Irish reader it warms my heart to see you enjoyed your trip. 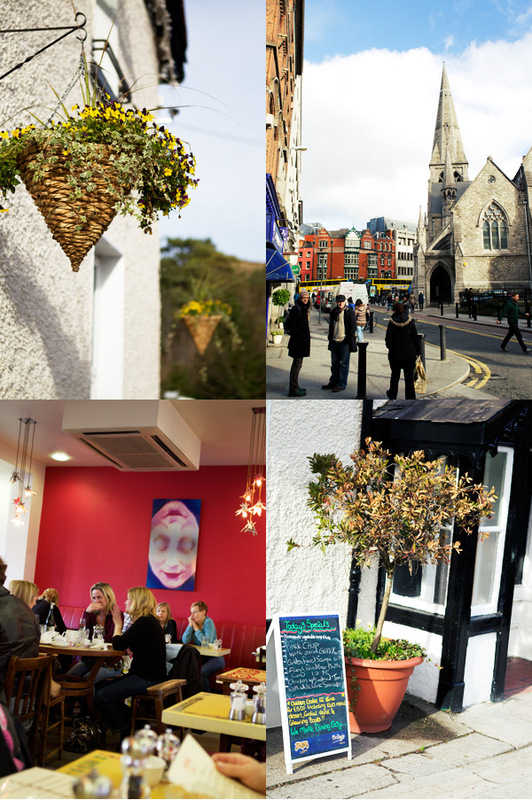 Your photographs are as always beautiful – the irish tourist board should hire you! C’est drôle, j’étais à Dublin quelques jours après vous. Sur vos photos j’ai tout de suite reconnue la théière à boutons de chez Avoca! Ils ne l’avaient plus en stock dans un petit modèle, quelle tristesse..
Les pots pots de crème au chocolat m’ont l’air délicieux, j’ai hâte d’essayer la recette! My sister lives in Dublin. I love both Powers Court & Avoca especially. Avoca=amazing! (I have good friends in N. Ireland). I absolutely love your blog. Lovely, delicate, gentle, delightful! Thank you! Ah, I see you had the raspberry yoghurt from Glenilen Farms!!!! It’s my absolute fav. along with Fallon & Byrne and Avoca. You should stop by the Rustic Stone, just around the corner for raw gluten-free lunch next time. 😉 Can’t wait to be back in Dublin now!